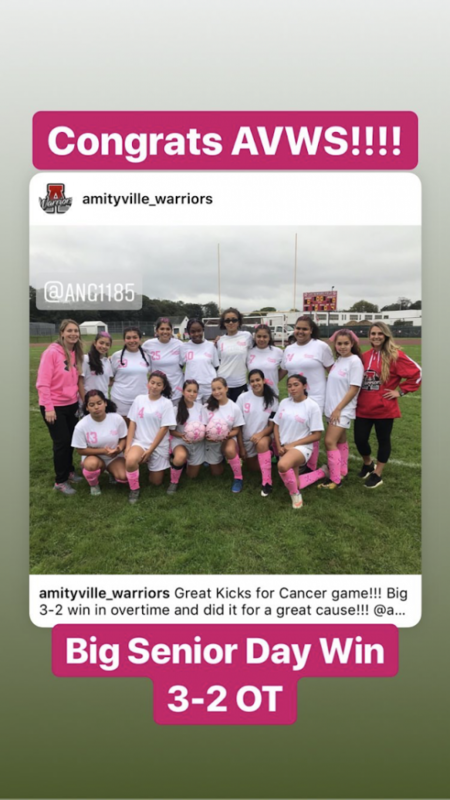 The Warriors took on the fight against breast cancer as Amityville Memorial High School athletic teams raised nearly $750 during October which is Breast Cancer Awareness Month. Money was donated to various causes that support research and assist patients. 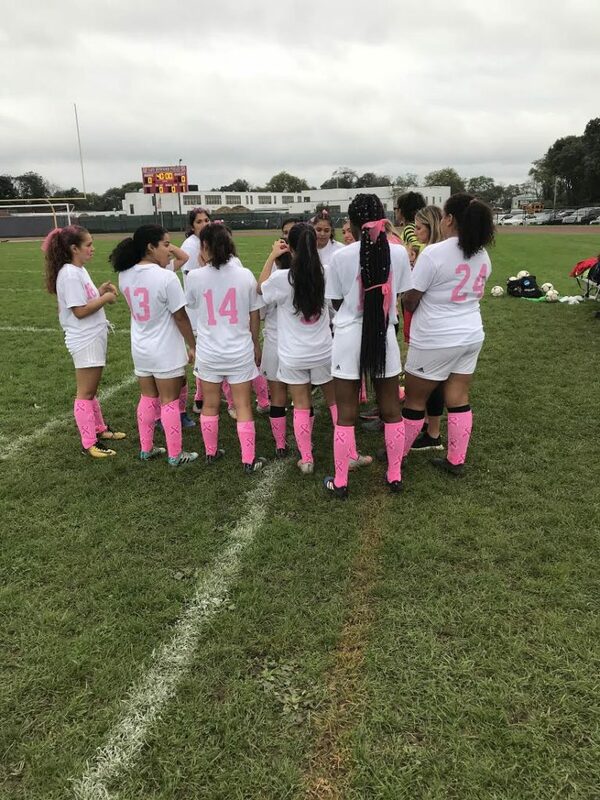 The girls varsity soccer team played their Kicks for Cancer home game on Oct. 15 against neighboring Copiague. It culminated a fundraising effort which included selling raffle tickets for various prizes and hosting a bake sale. The girls wore special uniforms with pink lettering along with pink socks hair ribbons. The fence adjoining the field was adorned with pink streamers and pink and white balloons. “They were enthusiastic about it and wanted to help the cause,” said head coach Angela Steiger. 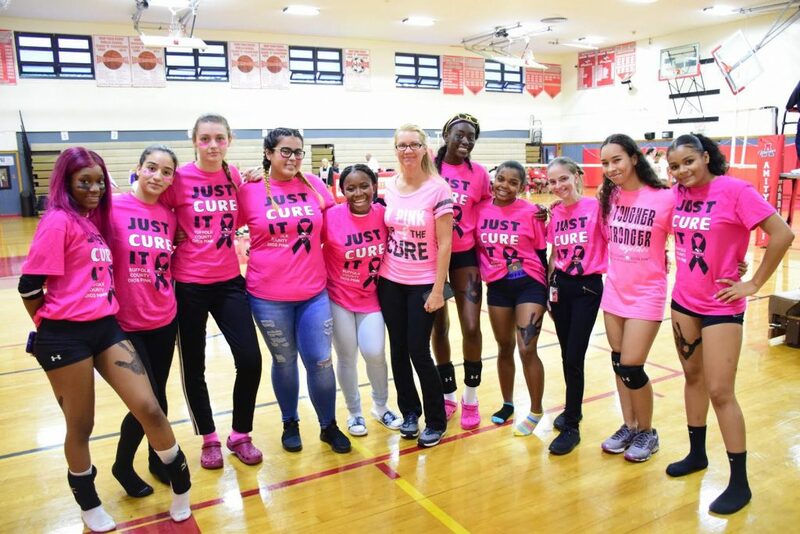 That same afternoon, the girls junior varsity and varsity volleyball teams held their Dig Pink games against Islip. The team sold baked goods, pink lemonade and pink “Just Cure It” shirts to raise money. 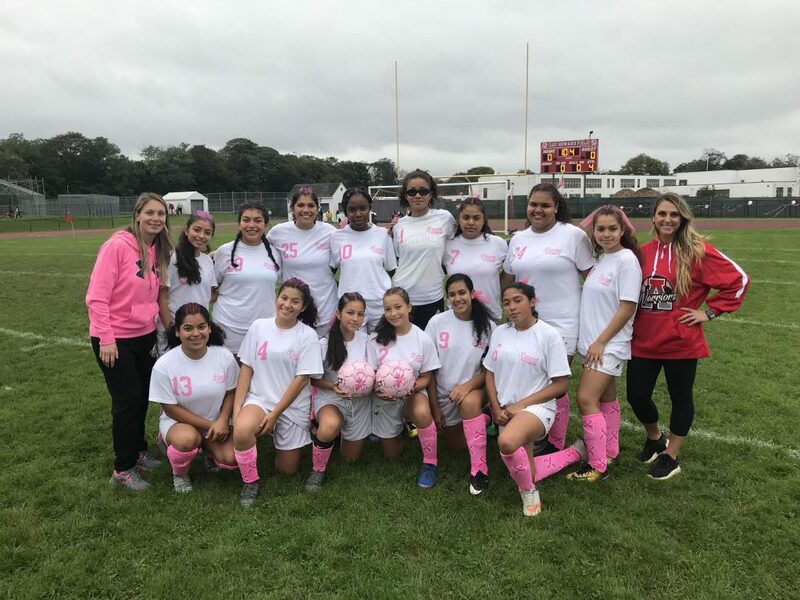 Amityville was among dozens of high schools participating in the Dig Pink initiative which supports the Side-Out Foundation.